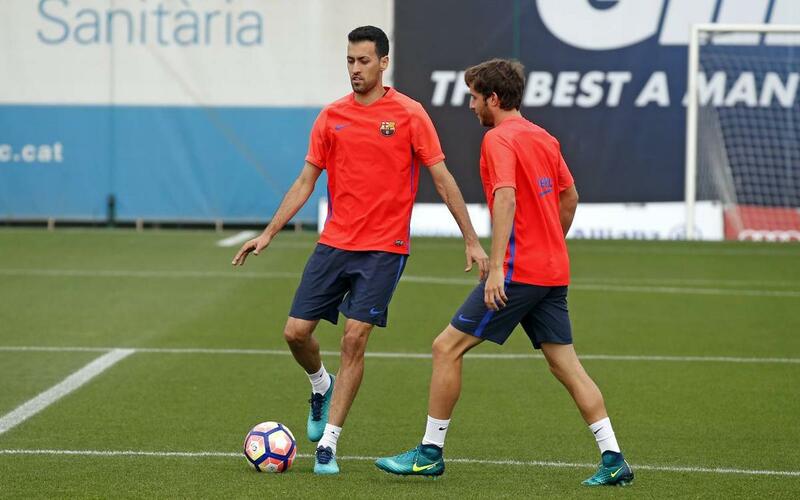 World Cup 2018 qualifying resumes on Thursday with fixtures for eight of the thirteen members of Luis Enrique’s first team squad that are away on international duty. Spain have a huge game away to Italy, while the marathon South American schedule reaches the halfway stage. There’s added Barça interest in the form of Labinot Kabashi, the U19 player who has received a first-ever call-up to the Kosovo national squad. Julen Lopetegui has named all of Gerard Piqué, Andrés Iniesta, Sergi Roberto, Jordi Alba and Sergio Busquets in his squad for the latest edition of one of Europe’s biggest international rivalries. It was Italy who put an end to Spain’s bid to win a third consecutive European crown in the summer – and with only the team that tops Group G guaranteed a trip to Russia, a lot hangs on this battle of the heavyweights. Kosovo manager Albert Bunjaki has named 16-year-old Kabashi in the squad for Kosovo’s first ever competitive home fixture (although it will actually be played on Albanian soil). After starting their campaign with a fine 1-1 draw in Finland, they now face Croatia, who are without the injured Ivan Rakitic. It’s top against bottom in the ten-team Conmebol qualifying group, where Luis Suárez has the chance to equal or maybe even surpass Hernán Crespo’s record of nineteen goals in the South American qualifiers. This is another game that at least on paper shouldn’t pose too many problems for the home side. After a stuttering start to the campaign, wins against Ecuador and Colombia in the last two matches have moved Neymar Jr and Brazil up to second in the group. Argentina have also put a slow start behind them and are now third, but they’re going to Lima without the injured Leo Messi. Even so, marshalled by captain Javier Mascherano, they are favourites to take all three points from this clash.